DARPA’s Strategic Technology Office recently revealed updates on its current research into how the U.S. military can use complexity as an asymmetric weapon against adversaries. STO’s Director Tom Burns and Deputy Director Dan Patt call the concept “mosaic warfare” and have proposed it as a replacement to the U.S.’s traditional “system of systems” approach. Burns and Patt have cited numerous reasons for the updated approach. For one, the technological advantage the U.S. has maintained over adversaries in recent decades is slowly decreasing because high-tech systems and components, such as electronics, that once took significant investment and development cycles to acquire are now commercially available. Given the shrinking technological advantage, the historically long timeline and high cost associated with developing new, large-scale, complex military capabilities, weapons systems and warfighting platforms are no longer adequate. Instead, Burns and Patt say, the U.S. should focus on developing smaller systems that can easily scale and quickly upgrade. 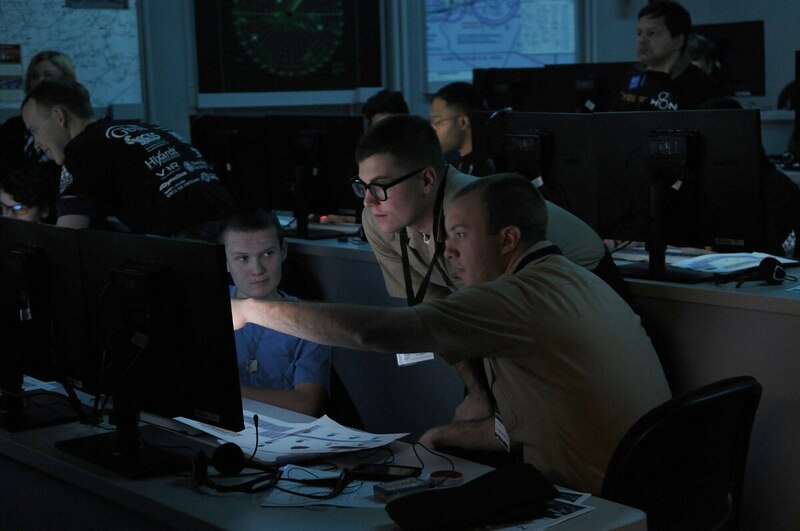 By creating a mosaic of “dynamic, coordinated and highly autonomous composable systems,” the U.S. can impose massive complexity on adversaries, creating new types of strategic advantage via asymmetric means. The United States has a highly capable warfighting ability, largely descended from a strategy of technical superiority in platforms, such as aircraft, spacecraft, ground vehicles and maritime vessels. While this remains effective, we expect attrition of costly assets in major future conflicts. Mosaic warfare envisions distribution and disaggregation of warfighting functions among smaller, less costly and more numerous platforms to enable greater risk tolerance, greater resilience and faster technical upgrade cycles. These aspects can create many simultaneous dilemmas for an adversary (i.e., complexity) in a manner that is difficult to counter (i.e., asymmetric). The term “system of systems” is often used to describe capabilities, which were designed from conception to work together and function as a whole, even though there are multiple constituent parts – similar to the concept of a puzzle, where many specifically-designed pieces fit together uniquely to form a complete image. Applying classical engineering and validation processes to a “system of systems” can lead to an inability to make future adaptations to the system, since each part is uniquely designed and integrated to fill a specific role, as well as lengthy engineering development timelines needed to address how each change affects the whole system. Mosaic warfare envisions a bottom-up composition capability, where individual elements (existing or new systems), like individual tiles in a mosaic, are combined to create an effect in ways not previously contemplated, potentially dynamically. This concept is intended to revolutionize time cycles and adaptability of military capability. Many of the technological capabilities required for mosaic warfare carry over from the traditional approach. For instance, Patt noted that resilient communications and command and control would continue to be a fundamental component in mosaic warfare. However, mosaic warfare will shift the engineering-design approach to new systems. The applications of mosaic warfare are broad, ranging from “conventional force-on-force battles to more nebulous ‘gray zone’ conflicts, which don’t reach the threshold of traditional military engagement,” Burns has said previously. Gray zone applications are potentially as important as conventional ones, given the number of conflicts that have simmered just below the threshold of kinetic combat in recent years. Depending on the definition, the U.S. is arguably involved in consequential gray zone conflicts with Russia, China, Iran and North Korea. To advance mosaic warfare from concept to real-world applications, STO is currently requesting proposals for achieving “next-generation composable effects webs,” with specific interest in situation understanding, multi-domain maneuver, hybrid effects, maritime systems, system of system-enhanced small units (SESU) and foundational strategic technologies and systems. Proposal guidelines are available on the FedBizOpps website.